Financing is important. We want to make it as straightforward as possible. Commercial credit is a different world than consumer credit. Most of us could walk into a car dealership and expect to drive away with a new car in just a few hours, with little or no money out of pocket. Financing a new or used Jerr-Dan carrier or a Landoll trailer? Applying for a commercial loan? That’s a little different. Commercial lenders have to play by different rules than consumer lenders. We all know that your new Jerr-Dan carrier will make you a lot more money than a new Honda Accord, but the Commercial financing will take a little longer. We’re want to make it easier. You can find our simple Credit Application here. You’ll like our lenders. We work hard to find the best Commercial sources out there, banks and other lenders who will give you good service, reasonable rates, and the respect you deserve. Go ahead and pick out your equipment. We’ll work with you to make it happen. Do I need a down payment? Probably, though maybe not. If you have excellent credit, if you have financed other similar commercial equipment before, and if you have been in business for several years, a commercial lender may offer you a loan or lease with little or nothing down. In most cases, commercial lenders do want some down payment—how much will depend on the particular lender and your credit history. How about a lease? I’ve heard of leases with zero down—is that available on this kind of equipment? Again, as with the first question above, only if you have the years in business, very good credit, and existing comparable commercial credit that the lenders want to see. We’ll work with you to find your best deal, based on your individual credit. I can walk in a car dealership and get approved right away on a new Honda or Chevrolet or Ford with no down payment. Can I do that on a Commercial Vehicle like a tow truck? This is one of the most often asked questions, and one of the most frustrating for us and for our customers. As we have said in answer to the previous questions, maybe you can get a Commercial loan or lease with little or nothing down, IF you already have a good relationship with a Commercial lender, or IF you have the time in business and comparable Commercial credit they want to see. Here’s the thing that is so aggravating: Commercial equipment actually helps you make money, but it is easier to get a loan or lease on consumer items like a Ford Explorer. The automobile industry is huge, and consumer lenders have both the volume of deals and the tools to make it easy for them to finance and, if necessary, re-market items like a Honda Accord, Toyota Camry, or even a BMW or a Mercedes. The volume of Commercial loans for work trucks is much smaller, there are fewer tools available to Commercial lenders, and the guidelines are different. Bottom line? Most of us can walk into a Lexus store and drive away with a fancy new car—that will earn NO money for us at all—far more easily and quickly than we can walk in here and get approved for a loan or lease to buy a new Jerr-Dan carrier. No, it doesn’t make any sense, but that is the truth of how Commercial lending is different. That being said, we are here to make the process as easy, painless, and profitable for you as possible. Which is better, a loan or a lease? That really depends on a wide range of things, and you should talk to your tax advisor about leases vs. loans—there are different advantages to each. Even if you are more inclined to traditional loans, keep an open mind to both. If your credit is challenged, you may find that some lenders are a little more inclined to offer you a lease. Do I have to fill out a credit application? Yes, we have to get a written application—that is part of the better consumer protection laws in place today. A lot of times we can get a lender to consider your loan based on just the application. Depending on how long you’ve been in business, etc, it is possible that a lender will request additional information. For example, if you’ve been in business less than 3 years, you will probably need to submit your 3 most recent business checking bank statements. What kind of rates are available? This is almost impossible to answer, since it depends on your credit, what you are buying, the amount of money involved, and what the current bank rates are. Our lenders offer the best rates available today. How long can I finance my truck? Again, the answer depends on many factors. We often see 60 month terms on new trucks, sometimes 66 or 72 months. 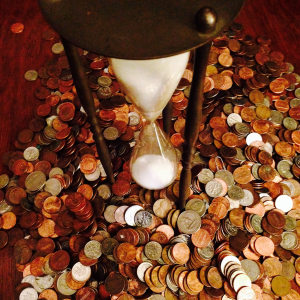 Used equipment might qualify for anything from 24 to 60 months, depending on the lender. Do you have financing available for new or start-up businesses? Yes, we have some lenders willing to consider applications from businesses with less than 3 years in business. Generally, the newer the business, the larger the down payment the lender will require—if you are just starting a business or have just gone into business in the last year or two, the lenders will probably want to see at least a 25% down payment. Can I get a short term lease? Can I just turn in the equipment at the end of the lease? The financing and leases we see advertised for new cars and light pickup trucks are very different from the financing and leases offered for Commercial and heavy duty equipment. There are no short-term, temporary leases for towing and transport equipment. At the end of the lease term there is usually a simple purchase agreement for a determined price—such as $1.00 or $101.00, depending on the state you live in—and the equipment is yours to keep. Always read and understand the terms of the loan or lease that you accept. Do you send my credit information all over the world? No, we do not. Our approach is simple—we are going to treat your information like we would treat our own. First, we’ll take a look at your credit background so that we can determine which of our lenders will be the best match, then we start with that one. Generally, we approach lenders one at the time for you, not sending your information to several sources at once. We want to get you the best deal possible while limiting the number of lenders who access your information. If we see that we cannot help you, we’ll let you know quickly. How long does it take to get an approval? These days, it varies a little. If you have a good credit history and time in business, it may even be the same day. More often, it can take a day or two. If there are some credit issues, a lender may come back and request additional information to support the application, such as copies of business bank statements, etc. If your business is new or your personal credit history is limited, they will almost certainly want to see recent business bank statements at the very least. Where do I find more information about starting my new business? How do I form a corporation or LLC? One great source of information in North Carolina is here at the North Carolina Department of Commerce website. Another good source of information is the corporations division of the North Carolina Secretary of State website, where you can find information about starting your North Carolina corporation or LLC—it is much easier than you think. If you are in a different U.S. state, check the website of your Secretary of State office. Believe it or not, there is also a lot of helpful infomation on the IRS website–really! Canadian citizens may find helpful information at the Industry Canada website. Remember—always read and understand the terms and conditions of your particular lease or loan. Beware! There are some unscrupulous lenders and equipment dealers out there in the world! 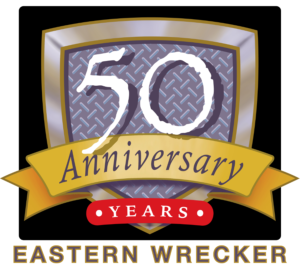 Next post: Why Buy from Eastern Wrecker Sales Inc?